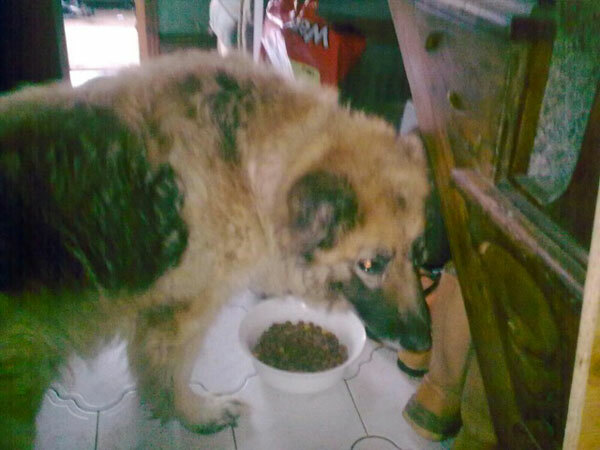 This was Xena in her home of 12yrs. Pushed to one side so that she didn’t make a mess where the grandchildren played. 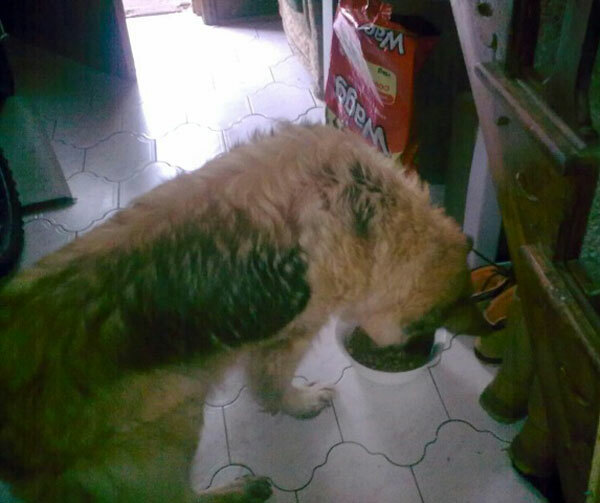 Her owners asked us to rehome her as they were having to move and couldn’t take her with them. Our assessor was horrified by what she found, a sad looking girl,who could hardly stand, just waiting for her call to Rainbow Bridge. A trip to the vets confirmed the obvious, she isn’t great on her legs but otherwise not bad for her age. Amazing what a little love and attention can do. 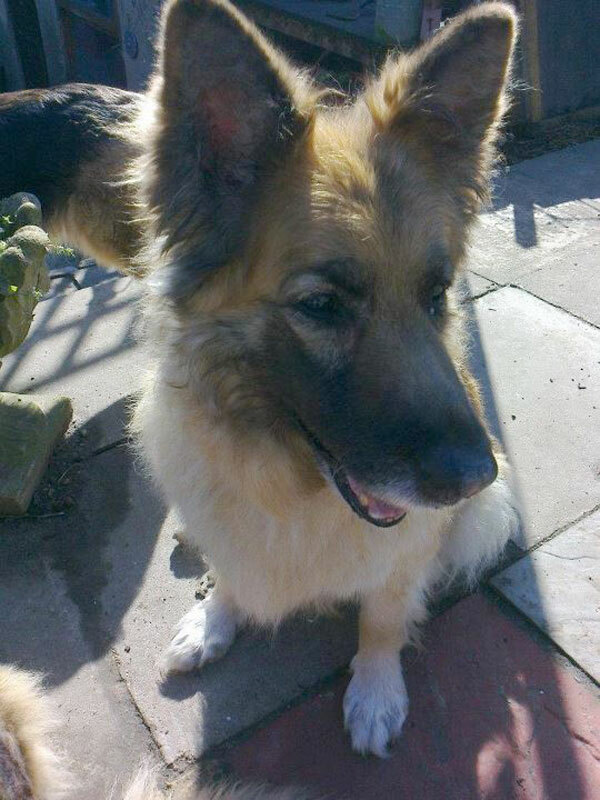 GSDR found Xena an emergency foster home, so we could remove her from her current owners and get the chance to assess her properly. Within a few hours, she had travelled across the county and been introduced to her new family which includes 3 GSDs, cats and children. Xena has has a brush, which she thoroughly loved, still a lot of work to do on her matted coat, but one step at a time. She has been out for short walks and has even managed to explore up the stairs now. All it took was love and attention...Please consider our oldies they have an awful lot to offer. 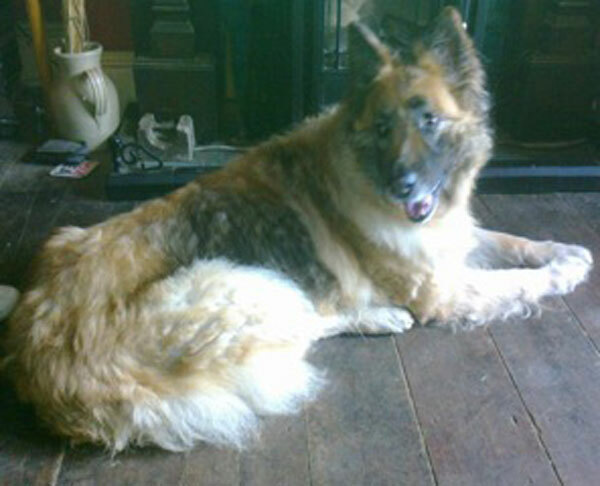 Sadly Xena died 2 weeks after being move to a kind foster home where she probably had the best 2 weeks of her sad life. The vets said that at some point she had been used for breeding enmasse! Her previous owners should be ashamed of themselves!